Tattersalls October Yearling Sale purchases DANDHU and MOHAATHER won the first two Classic trials of the year at Newbury whilst in Australia, Autumn Horses in Training Sale purchase SHRAAOH won the Group 1 Sydney Cup. 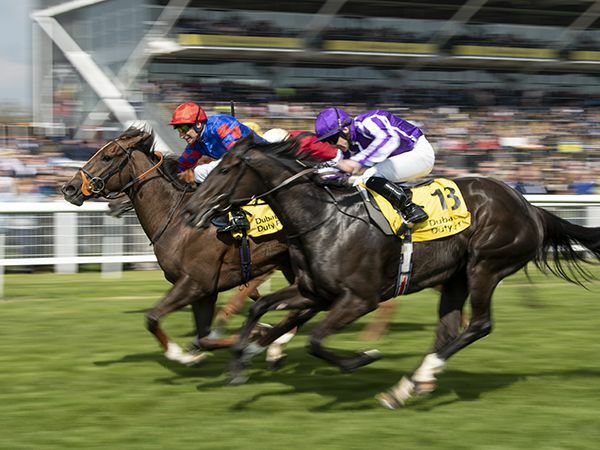 The Group 3 Fred Darling Stakes, sponsored by Dubai Duty Free, was won by David Elsworth’s filly DANDHU who is now as short as 10-1 for the 1,000 Guineas. The daughter of DANDY MAN, bred by Barton Bloodstock, was second in last year’s Group 2 Rockfel Stakes and was purchased for 75,000 guineas at Book 2 of the 2017 October Yearling Sale by Suzanne Roberts from Keith Harte. The second Classic trial at Newbury saw the Marcus Tregoning-trained MOHAATHER race into 2,000 Guineas reckoning with an emphatic victory in the Group 3 Watership Down Stud Greenham Stakes. MOHAATHER, who is as short as 12-1 for the 2,000 Guineas, was purchased at Book 2 of the 2017 Tattersalls October Yearling Sale for 110,000 guineas by Shadwell Estates. Bred by Gaie Johnson Houghton, MOHAATHER was consigned by Charlie & Tracy Vigors from Hillwood Stud. In Australia, the Group 1 Sydney Cup was won by the Chris Waller-trained SHRAAOH who was purchased at the 2017 Tattersalls Autumn Horses in Training Sale for just 30,000 guineas by Stephen Hillen Bloodstock. Also purchased as a yearling at Book 1 of the Tattersalls October Yearling Sale, the victory continues the great run of success by Tattersalls graduates in Australia, with REKINDLING, REDKIRK WARRIOR, HARTNELL, HARLEM, FIFTY STARS and FIERCE IMPACT all scoring notable successes recently. 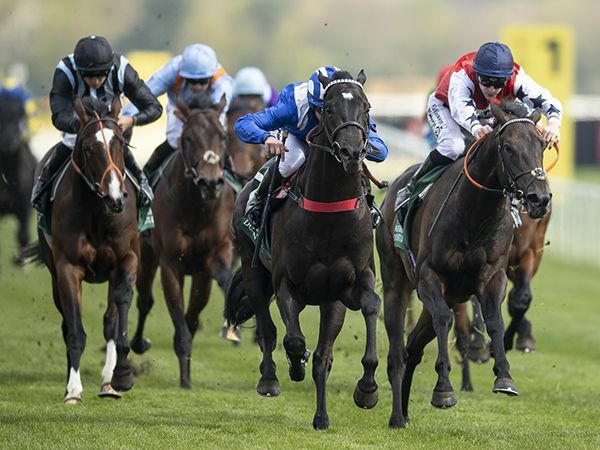 The next sale at Tattersalls is the Craven Breeze Up Sale that starts with the ‘breeze’ on Monday, April 15, followed by the sale on April 16 and 17. There are two fillies by SHOWCASING on offer and five two-year-olds by DANDY MAN. Catalogues are out now and available online atwww.tattersalls.com.